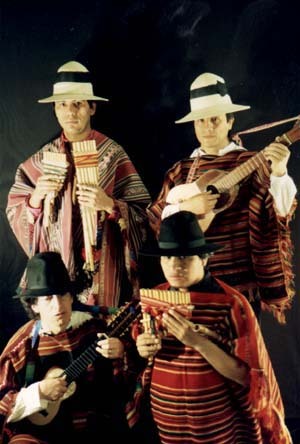 Katari are a three to five piece Andean pan pipe band featuring a wide variety of instruments such as quenas, flutes, zamponas, charango, bombo and guitar. The haunting flavour of Peru, Bolivia and the Andes. Since its formation in 1980 Katari has played at numerous venues in London around the Europe and appeared several times on British television. At the invitation of the Bolivian government, they have been representing Bolivia on the Bolivian stand at Olympia for the International World Travel Market every year for the last seven years.